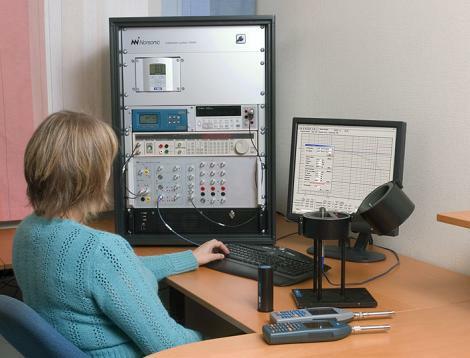 The Norsonic Calibration Laboratory Asia is a laboratory complying with ISO17025 for the calibration of measuring microphones, sound calibrators and sound measuring instruments such as sound level meters and sound analyzers. As we are complying with ISO17025 it means that the laboratory meets the requirements concerning competence and calibration system for all the calibrations. It also states that the laboratory has a satisfactory quality assurance system and traceability. Note that the Norsonic Calibration Laboratory Asia calibrates all brands, calibration is not restricted to the Norsonic range of equipment! You can send your microphones, calibrators and sound measuring instruments to us for calibration whenever needed, but calibration contracts to ensure calibration on regular basis are also available. Contact us for details on prices and delivery times. We recommend that you contact us before sending equipment to us to keep the time you’re without your equipment at a minimum. For your daily verification of the performance of your sound measuring equipment Norsonic offer a range of sound calibrators. The basic equipment (Nor1504A) used in the Norsonic Calibration Laboratory Asia is also available for sale to those who want to build up their own sound measuring equipment calibration facility.